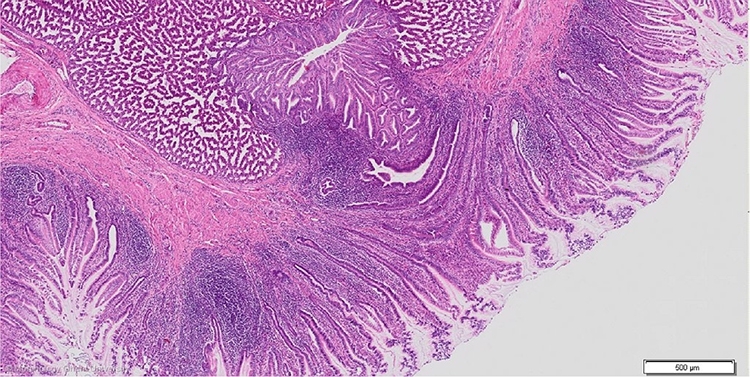 The lymphoid tissue present in the glandular stomach (proventriculus) consists of mainly T lymphocyte aggregations. B lymphocyte follicles can be present. Some follicles however would consist of T lymphocytes. There are three areas in which lymphoid tissue occurs: in the lamina propria of the folds, near the duct orifices and in the gland tissue.